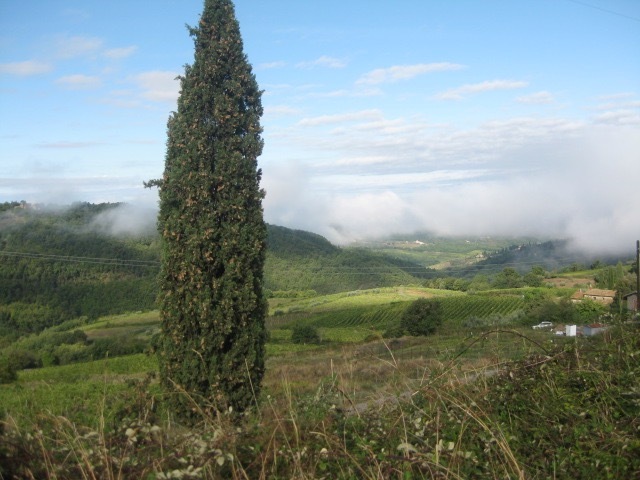 I still have fond memories of the tip I took a few years ago to Italy (Here’s a photo of the view from the little place where we stayed in Tuscany.). Even though I was thoroughly on vacation, I couldn’t stop myself from thinking about employee communication. Here’s why: I realized that trying to operate in an unfamiliar country (with a different language, culture and practices) is a lot like being a brand new employee. It’s your first day and you don’t know anything. Where’s the cafeteria? How do your coworkers operate? What do all those acronyms and terms mean? Everyone around you understands how things work, but you feel like a tourist without a map, a book or even a translation app to guide you. And when you attend an orientation session, sit through a senior leader town hall or read the weekly newsletter, it all seems like Greek (or, in my case, Italian) to you. While I was in Italy, I kept encountering situations where I had no idea what to do. Like when I tried to buy vegetables at the grocery store (you weigh the green beans yourself in the produce section instead of having the clerk do it at the checkout). Or get gas (you insert a Euro bill—not a credit card—into the slot at the pump). The Italians were very kind to an ignorant American, but I felt like a not-very-smart stranger in a strange land. The lesson for communicators? In the words of my friend Kevin Kelly, “Never underestimate employees’ intelligence or overestimate their knowledge.” There’s someone in your organization who just started a new job today, who doesn’t speak the language very well or who was so busy doing his/her work that he/she missed the memo and doesn’t know anything about the topic you’re now communicating. We need to communicate simply. Assume nothing. Explain everything. That way, everyone will get it.